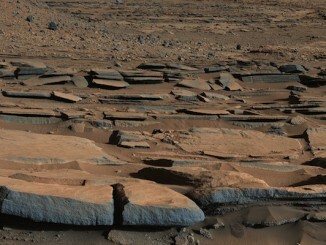 The effort to reshape the craft’s course around Mars uses aerodynamic drag from repeated dips into the upper atmosphere to gradually drag down the high point of the probe’s orbit from its current altitude of 20,500 miles (33,000 kilometers) to a planned perch 250 miles (400 kilometers) above the Martian surface. Ground controllers at the European Space Operations Center in Darmstadt, Germany, are overseeing a series of seven thruster burns to nudge the low point of the spacecraft’s orbit from an altitude of 120 miles (200 kilometers) down to 70 miles (113 kilometers). The Trace Gas Orbiter completed the first two burns Wednesday and Saturday, according to Håkan Svedhem, TGO’s project scientist at the European Space Agency. He said the orbit’s low point was at an altitude of 87 miles (140 kilometers), as of Monday. The next orbit-lowering maneuver is scheduled for Tuesday, followed by more burns March 24, March 27, April 1 and April 6. The gradual step-down into TGO’s aerobraking orbit allows ground controllers to monitor pressures and temperatures on the spacecraft. 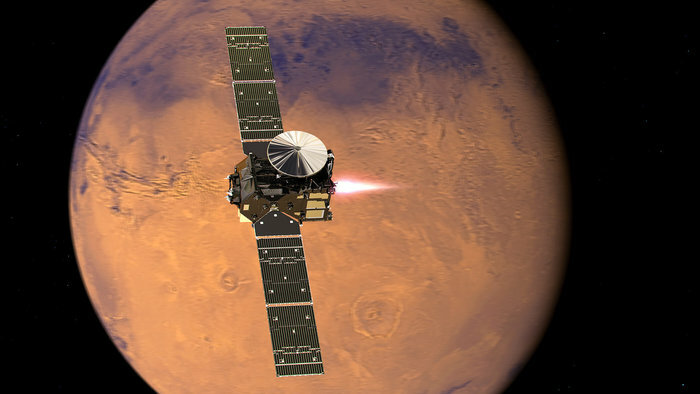 “The atmospheric models aren’t perfect, so we have to ‘feel’ our way down to the start of aerobraking proper,” said Chris White, an ExoMars spacecraft operations engineer, in an ESA blog post describing the aerobraking procedures. The orbiter will fly in a special orientation as it slices through the rarefied upper layers of the atmosphere, preventing direct communications with Earth at the most critical point of each orbit. As the spacecraft encounters air particles, friction will cause temperatures to rise outside the probe. Models predict the temperatures should be around 158 degrees Fahrenheit (70 degrees Celsius) on the craft’s two power-generating solar arrays during each passage. If the temperatures reach 293 degrees Fahrenheit (145 degrees Celsius), or if other temperature and pressure redlines are exceeded, the spacecraft will automatically fire its thrusters to raise its orbit in a “pop-up” maneuver to avoid such extreme conditions on the next orbit, according to ESA. “We’ll closely monitor the solar array temperature and the acceleration of the spacecraft, not only during the first few passages through the atmosphere but throughout the rest of 2017, and adjust the trajectory as needed,” Denis said in an ESA statement. Changes in the density of the upper atmosphere caused by dust storms and solar activity make each TGO close approach unpredictable. ESA’s Venus Express spacecraft flew deeper into the atmosphere of Venus during its final year of operations in 2014, gathering data about the planet’s thick, toxic atmosphere and giving European engineers experience with aerobraking techniques needed on future missions, starting with TGO. 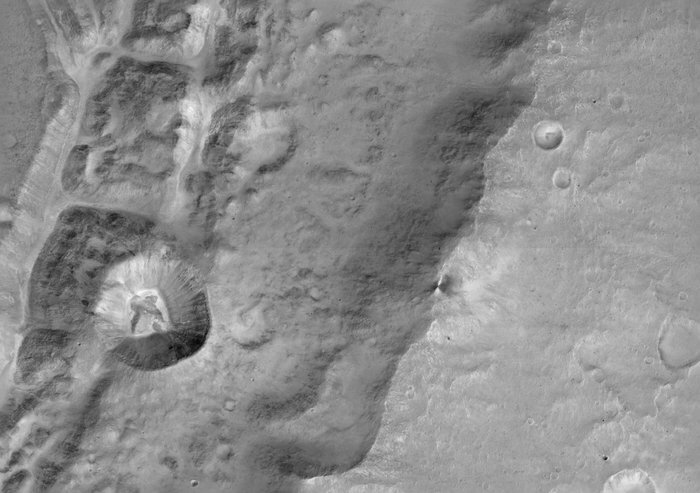 NASA has conducted aerobraking maneuvers the red planet with the Mars Global Surveyor, Mars Odyssey and Mars Reconnaissance Orbiter missions. 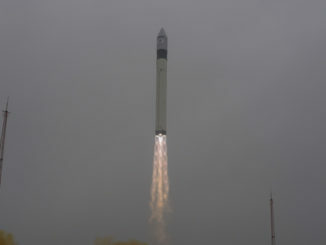 The technique saves fuel, reducing the mass of a spacecraft at launch. In TGO’s case, the tradeoff saved around 1,300 pounds (600 kilograms) of fuel, according to ESA. The aerobraking campaign will take a two-month hiatus in July and August, when Mars is behind the sun as seen from Earth. The conjunction disrupts normal communications with spacecraft at the red planet, so managers want to temporarily raise TGO’s orbit to a safer altitude before resuming aerobraking at the end of August. By early 2018, the repeated passes through the Martian atmosphere should pull TGO’s peak altitude to around 250 miles. Another rocket burn will raise the low point of the orbit to the same altitude, placing the spacecraft in a circular perch to begin regular scientific observations. The circular orbit also allows TGO to act as a data relay satellite between Earth and landers and rovers on the Martian surface. 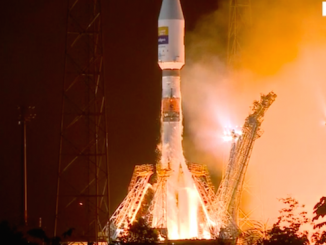 ESA and Roscosmos, the Russian space agency, plan to send a stationary landing platform and rover to the red planet in 2020, and TGO will be critical to enable communications for the mission. The aerobraking maneuvers come after thruster burns in January and February and tilted the angle of TGO’s orbit from a path hugging the Martian equator to one circling at an angle of 74 degrees, permitting greater coverage of the planet. TGO’s four science instruments have collected initial data since the spacecraft arrived at Mars on Oct. 19, but the meat of the mission will wait for 2018. TGO’s camera has taken several test images of Mars, and the orbiter’s two atmospheric measurement suites also completed successful demos. The Russian-made FREND neutron detector, designed to look for signs of water just below the top layer of Martian soil, is also working as expected. Svedhem said the science team has no observations planned during the year-long aerobraking campaign, but there may be opportunities to turn on the science payload to test new instrument modes. TGO flew to Mars with the Schiaparelli lander, a demonstrator designed to test European entry, descent and landing technologies for the 2020 rover. The lander crashed after prematurely releasing its parachute and turning off its braking rockets due to incorrect altitude data fed to the craft’s computer. The orbiter’s chief objective is to tease out the trace constituents of the Martian atmosphere, particularly methane, a gas detected intermittently over the last decade that scientists think could be produced by microbes or undiscovered ongoing geological activity.